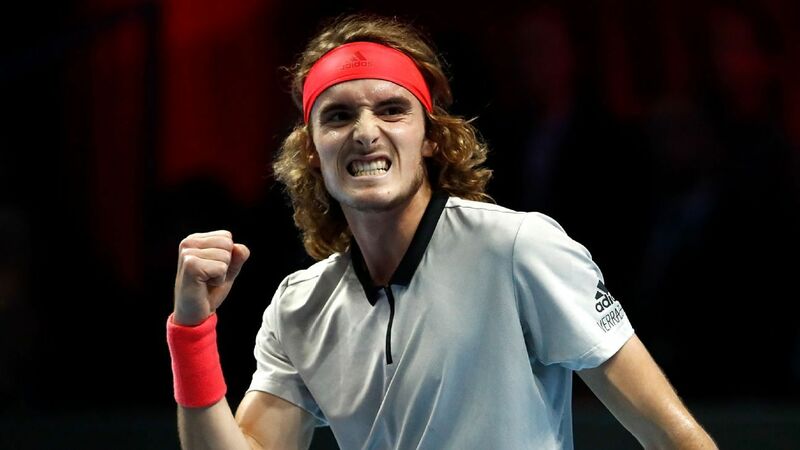 No.1 seed Stefanos Tsitsipas is in pole position to advance to the semifinals of the Next Gen ATP Finals after securing a straight-sets victory over Frances Tiafoe on the second day of competition in Milan on Thursday. World No.15 Tsitsipas won 4-3(3), 4-3(5), 4-2 to move to the top of Group A with two wins from two matches. He’s become something of a superhero in Greece, and it’s only a matter of time before the entire world knows Stefanos Tsitsipas. In the other match in Group A , Hubert Hurkacz resisted a fightback from Jaume Munar to win 4-2, 4-2, 2-4, 3-4(5), 4-1 and record his first win of the week. Hurkacz is now level with Tiafoe on one win and one defeat and faces Tsitsipas in his final group match on Friday. In Group B, Taylor Fritz kept his qualification hopes alive with a 1-4, 4-1, 4-3(9), 4-2 win over home favourite Liam Caruana. Fritz, who was beaten by Andrey Rublev in his opening match, can qualify for the semifinals with a victory over No.2 seed Alex de Minaur. De Minaur tops Group B after he defeated Rublev 4-1, 3-4(3), 4-1, 4-2 in the final match of the day.